I have a HP C3150 printer and I've bought a new black ink (338). The colour ink (93) is empty so I tried to print or copy but unfortunately it doesn't work? Is the printer going to work with the black ink only installed? Also, what is the number of the ink going to be that works with this Photosmart printer C3150? If you are using the number 93 it would indicate that you did not purchase this printer within the UK. HP cartridges are sold in zones and once the zone on your printer has been set you cannot use cartridges purchased elsewhere. Traditionally, the printer would not work with only the black in place but I would recommend contacting HP before taking any further action to see what help they can offer you before you purchase any more cartridges that you may not be able to use. The quality of prints from your HP C 3150 printer is great, but have you checked your ink levels recently? At some time your HP C3150 will consume all of your printer ink, and when it finally happens you'll quickly notice that fresh HP C3150 ink is typically pricey. Thankfully, however, you don't need to stress about paying the steep fees you'll get on the main street because here at Cartridge Save you can pick up all the HP C 3150 cartridges you will ever want at tiny prices. Start to save money on your ink by buying with Cartridge Save! Why waste money to buy the C-3150 original cartridge or C3150 compatible ink in the high street when it's easy to save some cash buying online with Cartridge Save. You get utter satisfaction by ordering your PhotoSmart C3150 ink cartridges from us because they are all underwritten by a hassle-free money back guarantee. Don't forget that each and every order has free delivery, mostly delivered to your address on the following working day! The HP Photosmart C3150 delivers excellent photos and laser-quality documents as well as excellent scanning and copying resolution. This all-in-one printer is ideal for homes and small offices with average-volume printing requirements, and is user friendly even for beginners. It has a duty cycle of 3000 pages per month and has a maximum resolution of 4800 x 1200 optimised dpi for coloured prints. This printer is compact and features an organised control panel with easy-to-use buttons. There are also memory card slots beside the output tray. The input capacity of the HP Photosmart C3150 is 100 sheets while the output capacity is 50 sheets, which may not be enough for high-volume print jobs. 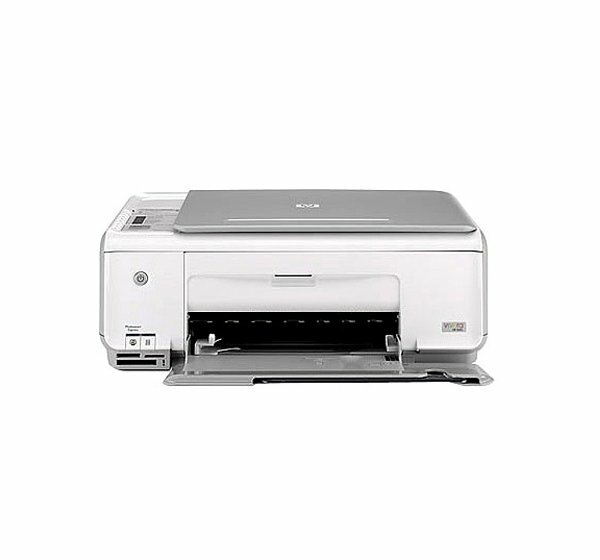 For a reasonable price, the HP Photosmart C3150 delivers excellent printing, copying, and scanning jobs. Running costs are low, and thanks to convenient memory cards, direct printing is possible. There is no need to transfer files to the computer before printing. This printer was produced a few years back, so don't expect it to run on newer Windows and Mac operating systems. Print speed may seem slow, especially when compared to other-all-in-one printers. The HP Photosmart C3150 lacks several features, including an LCD display, fax, Wi-Fi, and is not suitable for networking.